I started by learning to trade and providing design services for bitcoin, and ended up creating Applications which, as I have seen first hand, have helped foster adoption and interest in blockchain technology. Now, with Honeyminer, I can honestly say I’m involved in crypto in every way: as a Builder, as a User, and as a Miner. As I type this, my Honeyminer application widget is running in the background, validating transactions on whatever cryptocurrency is most profitable to mine at the moment, taking into account my specific computer setup. I have always been interested in the inner workings of the blockchain, and am always looking for more ways to get involved, but mining was never in the cards for me. My apartment is too small to host rigs, and the barrier to entry both monetarily and intellectually have always seemed too daunting to try. So, I wanted to create something that a user like myself could pick up and use. To feel like they are contributing to the blockchain in a way they never before thought they could: enter Honeyminer. Honeyminer is a one-click-install and mine application for people like me with no experience in mining whatsoever. You can literally download the app and put your computer to work for you right now. It really is that easy to use. The most incredible part of this whole journey is that I finally feel like I’m involved in crypto in every single way. 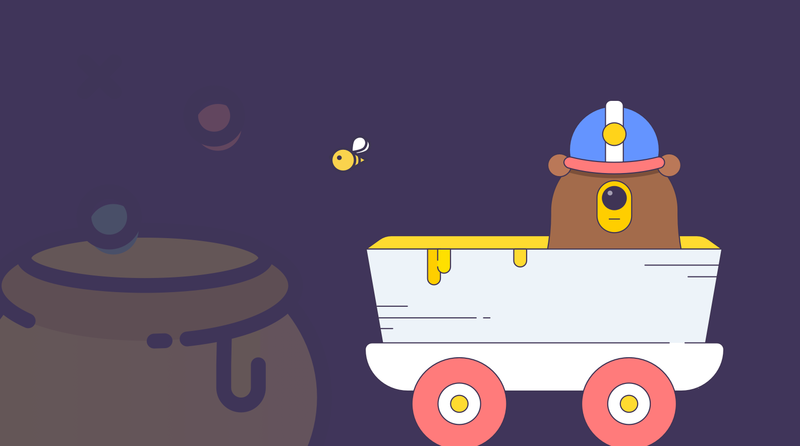 Honeyminer has not only reduced the barrier to entry to what, for me, is the most daunting task in crypto — Mining — but removed the obstacle completely. Your computer could be making money for you right now. What are you waiting for? Show some love and clap for this — it’s good karma.